Maurice Hirsch worried about Israel’s response to rocket attacks. Josh Hasten interviews Col. (res) Maurice Hirsch who is the head of legal strategies for the Palestinian Media Watch organization. 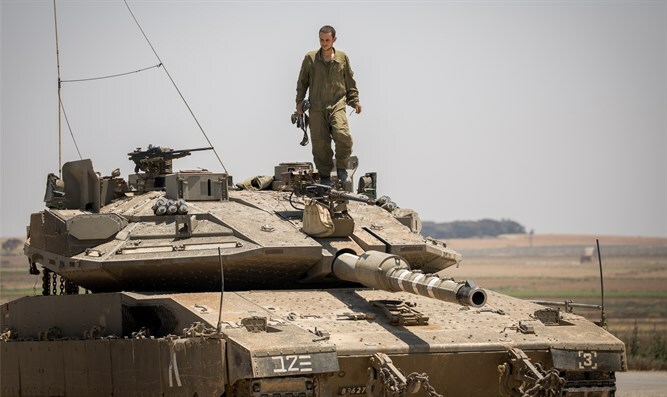 In his latest column featured on the Mida news magazine website, Hirsch argues that instead of targeting empty buildings, Israel should be targeting the Hamas terrorists themselves. Hirsch is worried that Israel’s response to rocket attacks, which includes giving prior warnings before attacking strategic targets thus allowing the terrorists to flee, shows that unfortunately “Israel’s leaders, together with the IDF, have lost the desire to defend Israel’s sovereignty and defeat its enemies.” A sad state of affairs indeed.